Cricket at Mill Hill is our major summer sport. Known not only for our outstanding achievements but also for our ability to cater for pupils of all abilities. We currently run 7 competitive teams throughout the school. Mill Hill pupils enjoy top class cricket facilities. Our main cricket ground is one of the most beautiful places to play cricket on in London. Middlesex CCC women’s 1st XI train regularly at the school, and played 2 fixtures here in 2017. We were also incredibly lucky to have many of the New Zealand women’s cricket team train at the school in preparation for the 2017 World Cup. Our cricketers undertake a diverse programme which consists of net sessions, fielding sessions and match scenarios. A winter training programme is also offered for all players, with an emphasis on technique and strength & conditioning work. The School competes in the Middlesex cup competitions in all age groups including the 1st XI, which they have won on numerous occasions. In recent years there have been cricket tours to Sri Lanka and India. We have forged a strong link with Middlesex County Cricket Club (women’s and girls’) who are currently playing and training at Mill Hill every summer. 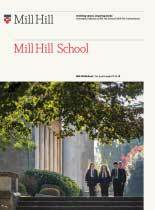 Middlesex have recently agreed deal to make Mill Hill ‘The Home of Middlesex women’s and girls’ Cricket’, making Mill Hill the school of choice in the area. We have introduced performance cricket sessions for boys and girls who are identified as especially talented cricketers. They are trained both in core skill work and personalised fitness sessions throughout the week. These sessions are led by Head of Cricket Sanjay Patel (head coach for Middlesex CCC Women’s 1st XI) during the year pupils receive an extensive 1 to 1 programme tailored to their needs. There have been other cricketing events outside the summer term. Separate visits from Michael Vaughan and Michael Atherton and current Middlesex players Steven Finn and Dawid Malan add to the experience here at the school.